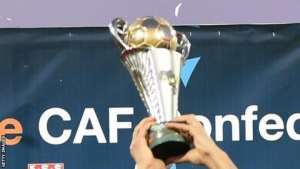 The draw for the quarter-final of CAF Confederation Cup has been revealed at a ceremony held in Cairo, Egypt. The draw saw Nkana FC welcome Tunisian giants CS Sfaxien. Zamalek will be taking on Hassania Agadir, with Gor Mahia hosting RS Berkane and the last game will see Etoile Sportif Sahel playing Al Hilal. The 1st leg of the tournament will take place on 7th April with the second leg being played a week later(14th April).